Come on Bungie, you should've been better than this. 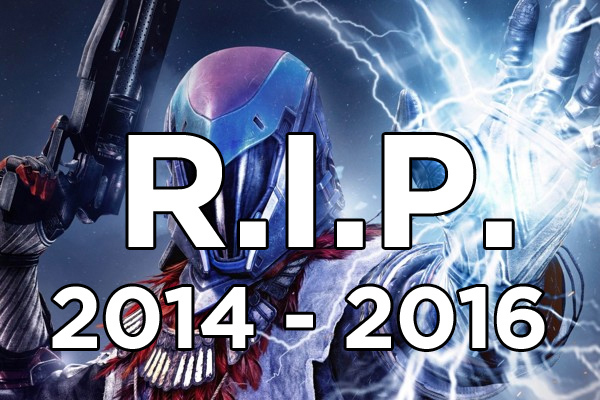 Oh Destiny, why did you betray the loyal fans who bought into the hype? You promised that you were going to be the next great IP from the company responsible for Halo; an RPG with crazy MMO-like mechanics, solid first-person shooter combat and a sure-to-be amazing soundtrack from Martin O'Donnell. While the soundtrack is definitely there alongside a great art style and even perfect combat, there was never anything overwhelmingly positive to write home about. With The Taken King teasing what Destiny should've been on day one, these flaws in the main game are only highlighted further, and still have to be fixed. Whether it's the increasingly similar look to the guns, the extremely bland character creator or even the boss battles that reuse previously seen bosses, there are plenty of reasons why many players have removed their Guardians from the Tower. Destiny has SO much potential, but there are ten big issues that plagued - and continue to plague - the Destiny-playing experience, to the point that it has lost a huge portion of its original fanbase. These are the 10 fatal issues that have utterly killed Destiny. 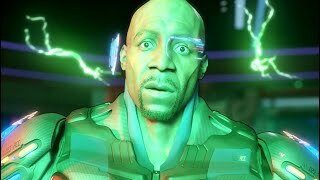 Many RPG's like The Witcher, Dragon Age or Mass Effect have a lot of information and backstory to memorise and read about. If the player ever finds themselves lost or in need of a refresher on who a specific character is or what's going on in the story, they can look at it within the start menu and/or in-game codex. With Destiny, the fact that there STILL isn't an in-game codex is incomprehensible, especially after how many fans have clamoured for one. The problem with that is pretty clear: it's not in the game right now, and won't be later. With this decision remaining steadfast and unchanging, Bungie appears ignorant of players' wishes to explore the in-game universe being shown. This seems apparent when you visit the website nowadays, and the process of finding information on lore is no longer as seamless as it used to be. If you want to explore the Grimoire cards you've earned, or just look up your profile, you are forced to download the companion app, no matter what. This renders the website useless to players who want to explore those cards they've worked so hard to obtain. 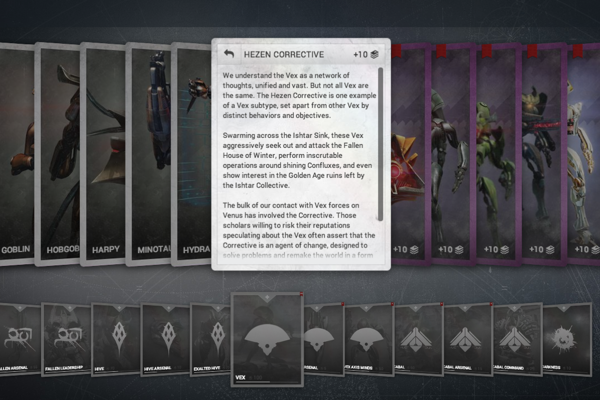 The fact that Destiny's lore continues to be hidden behind these Grimoire cards is a problem. Even if you don't mind this means of expressing in-game information, it was just one major design concept of many that showed Destiny isn't your typical RPG, and not in a good way.